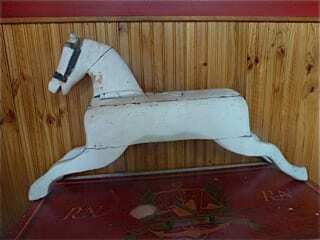 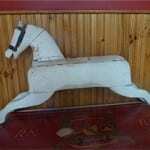 Antique primitive wooden horse. 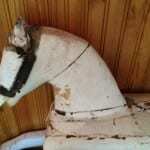 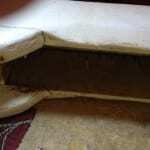 We have no idea how it was used originally, perhaps as part of a rocking horse assembly? 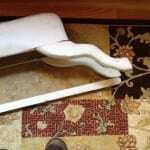 MORE PICTURES WILL BE SENT UPON REQUEST.